High-quality optics, powerful large aperture lenses, classic design – all these advantages are combined in Levenhuk Atom 7x50 Binoculars. Powerful 50-mm objective lens ensures quality bright images even in dim light conditions. 7x magnification allows you to consider a distant object in great detail. The ergonomic design and rubberized shell of these binoculars ensure maximum comfort for the user. If you are looking for a reliable tool for field observations during the day and at dusk, Levenhuk Atom 7x50 Binoculars are exactly what you need! Thanks to the Porro prism design, the extent of light loss inside the binoculars’ body is reduced to zero. All optical elements are fully coated. 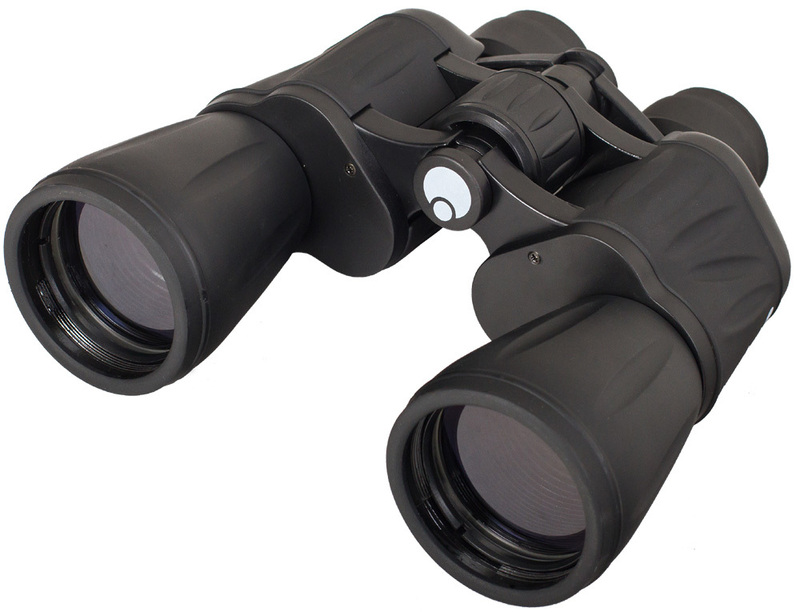 Levenhuk Atom 7x50 Binoculars create a lifelike image – bright, sharp, and crystal-clear, with accurate colors. We put maximum effort into making these binoculars very comfortable to use. The interpupillary distance can be adjusted; the right eyepiece is equipped with a diopter adjustment ring. Soft rubber eyecups ensure maximum comfort during observations. The rubber coating of the shell softens impacts and prevents moisture, dirt, or dust from entering the instrument.